As the owner of an older home, I researched this plumbing problem and successfully rid my home of it without the need to call a pro. 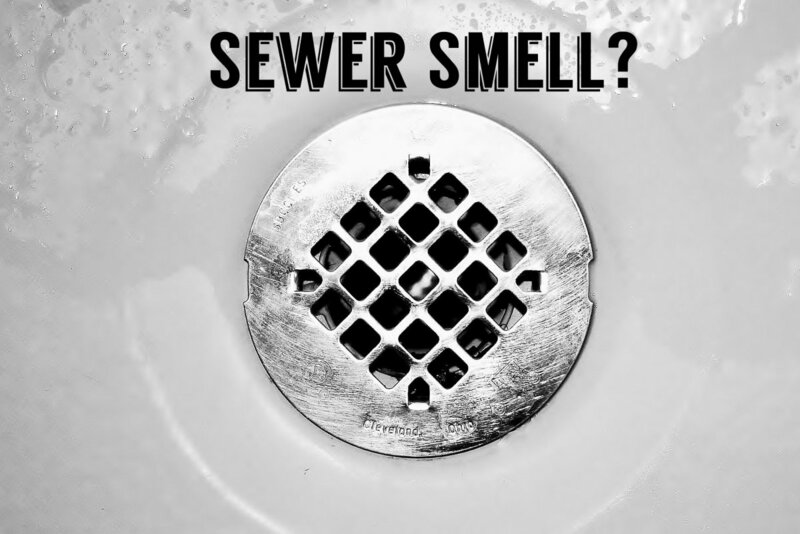 If you smell a noxious sewer-like odor inside your home, chances are it is sewer gas escaping from the drainage system. Not only does it smell gross, but the methane and bacteria it contains can be dangerous to your health, causing headaches or even more serious ailments. Even scarier, high concentrations of methane gas are combustible, which can cause an explosion. If you notice this distinctive, foul odor, do not ignore it. Before you call the plumber, however, there are some simple DIY actions that may eliminate the problem quickly at little or no cost. 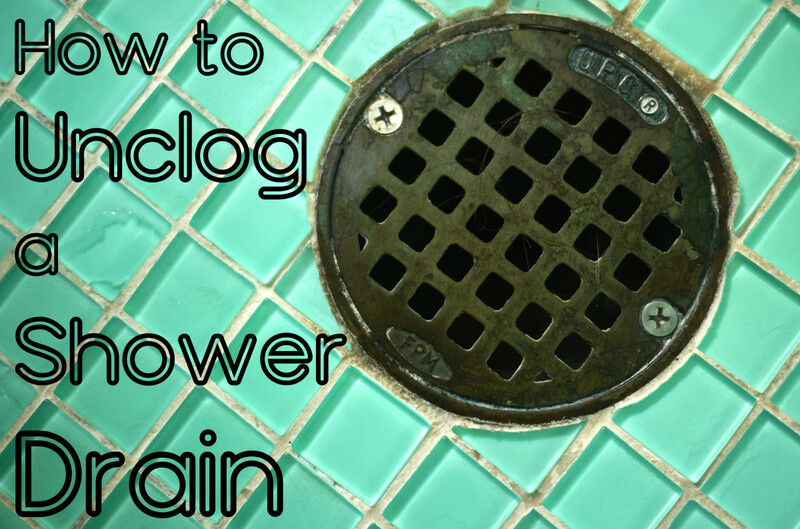 Below, you'll find out how to get rid of the smell of sewer gas emitting from a shower drain due to a dry trap or a mild clog. 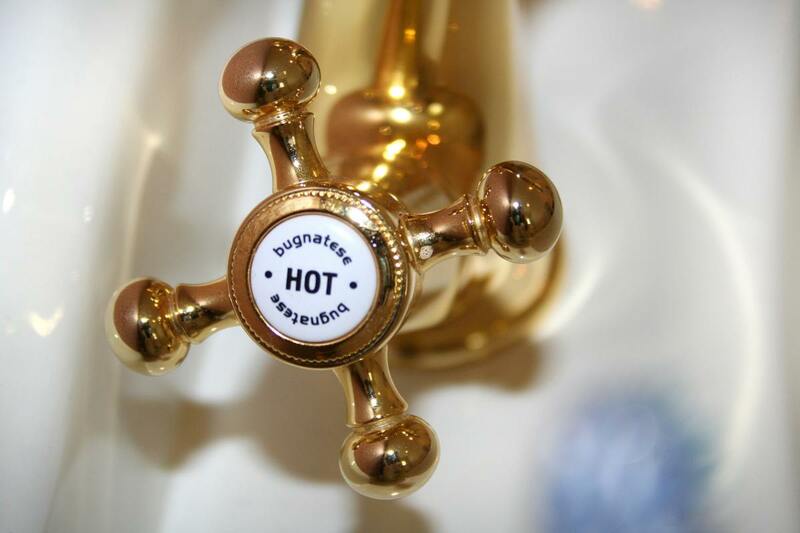 Plumbing fixtures and their connecting systems that are correctly designed and installed are normally odorless. However, even the best plumbing may sometimes allow sewer gas into your home due to a simple problem that can be easily checked and simply solved. If the problem persists, then it’s time to call in the professional—a plumber. Pour 1/4 cup of baking soda into the drain. Let that sit for two hours with the bathroom door closed. Slowly pour a gallon of hot water down the drain. After fifteen minutes, run cold water for ten minutes to thoroughly rinse the vinegar down. This step is very important, so don't skip it. 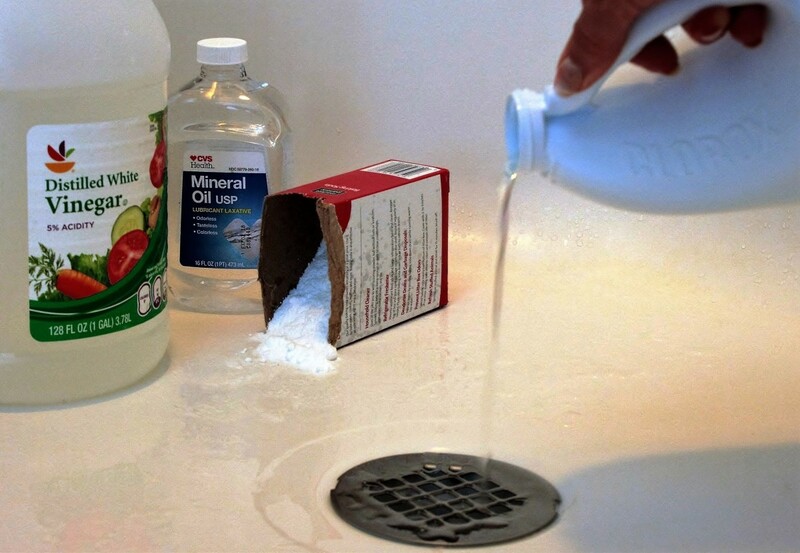 Pour 1/2 cup chlorine bleach into the drain and let it sit for another two hours with the bathroom door closed. Rinse with another gallon of hot water poured slowly. Let cool water run for ten minutes. By now, ample water should be standing in the “U” curve of the P-trap. The last step is to pour four ounces of mineral oil (plain cooking oil will work in a pinch) into the drain. The oil floats on the water in the trap and slows evaporation. Optional: Use a screwdriver to remove the trap if you want to replace it. You can also remove the trap to clean it out. Warning: Never mix bleach and vinegar, or you will create toxic chlorine and chloramine gas. Step #6 is crucial to avoid this danger. What you'll need: White vinegar, baking soda, bleach, mineral oil, and hot water. 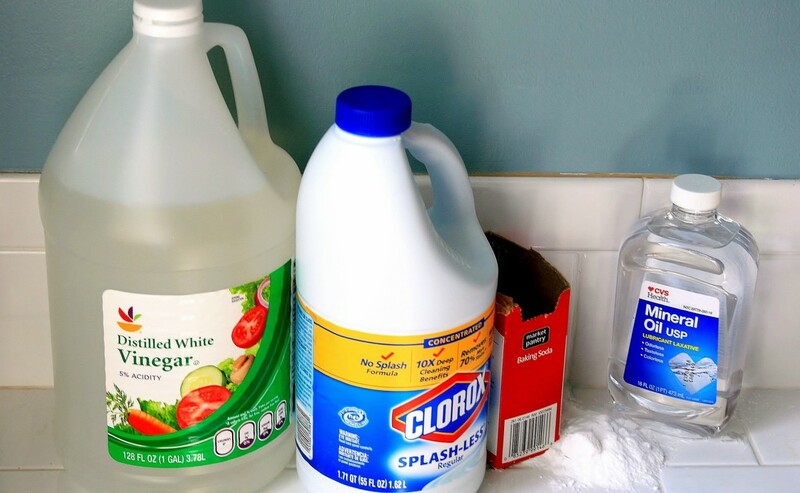 Never mix bleach and vinegar, or you will create toxic chlorine and chloramine gas. Every drain in your home’s sewer system should have a “p”-shaped trap that is properly vented. These drains trap water, creating a seal or barrier that will keep sewer gas out of your home. If one of these drains is rarely used, such as in a guest bathroom, the water creating the protective seal will eventually evaporate. This is a formula for trouble that can allow stinky sewer gas to seep into your home. Simply running the water might solve this problem. Let’s consider how the plumbing for this stand-alone shower in my home operates: Water from the city water system enters through the shower head while faucets control the water pressure and supply. When water drains from the shower, it goes into the city sewer system. A p-trap that holds water in a “U” shape of the pipe and forms a seal. A vent system that allows air in to equalize pressure and let sewer gases escape up the stack to the outside. In short, the properly-vented p-trap prevents back pressure from letting sewer gas into my home. The vent is a critical component of this system because the pressure in sewer lines may fluctuate. What Is a Dry Trap? My research led me to believe that my stinky problem might be the easiest type to resolve: A dry trap. Since my guest shower had remained unused for a long time, the trap under the basin wasn't holding enough water to prevent sewer fumes from seeping up into the room. Often, simply running the water can resolve this issue. Is It Okay to Pour Boiling Water Down the Drain? While I advocate pouring hot water down the drain, what about boiling water? Is it likely that boiling water in the drain might crack a pipe? I asked an engineer about this issue, and he told me that boiling water won't damage metal pipes. Even if your home's plumbing includes PVC pipes and joints, using very hot water shouldn't hurt them, but don't let the water boil. PVC pipes don't need regular dousing with water over 175 degrees Fahrenheit (and water boils at 212 degrees Fahrenheit), or the joints might melt. If you aren't certain whether or not your plumbing system includes PVC pipes and joints (or even rubber fittings), don't let the water heat to boiling or even the about-to-boil stage. If the water is hot (less than 175 degrees F.), it should do the trick. What If This Simple Solution Doesn't Work? If the odor had persisted after the vinegar-baking soda-bleach-hot water-mineral oil technique I used, the sewer gas invasion might have been caused by something other than a dry p-trap. Leaks, rotted or cracked drain pipes, clogs in the drain, or a stopped-up vent pipe are other potential stink-makers. Had I still smelled that nasty odor when I opened the bathroom door the next morning, stronger measures would have been in order. I don't have the DIY expertise to test or resolve more difficult issues, so it would have been time to call in the professional—a licensed, bonded, and insured plumber. I already have the phone numbers of two such plumbers on my speed dial (see next paragraph), but anyone searching for a trustworthy plumber should use an Internet search engine for a national or local directory of plumbers who are licensed, bonded, and insured. You don't want to take a chance on someone who may charge cheaper rates, but can't be held accountable for work, including any damages to your property. I didn’t know anything about p-traps or their function until a recent unpleasant incident forced me to do some hurried research. Here’s the background. There are three showers in my home. Two of them are regularly used, but the third is rarely used at all. In fact, it had not been used for months at the time this situation occurred. When that shower was suddenly used after remaining dry for such a long period, the resulting odor emanating from the drain after the water stopped was dreadful. It smelled like…yes, a sewer! Eau de sewer is definitely not the fragrance I wanted wafting throughout my home, so getting rid of it was a top priority, requiring immediate action. It was evening when the odor materialized, and I realized it might not be possible to get a licensed plumber to my house after regular business hours. Even if I were successful in locating a plumber who would show up before the next day, the overtime rates charged would not be healthy for my budget. Perhaps there was something I could do before then. DIY is not my forte, but I can sometimes handle an easy fix. You never know until you try. The odor in the bathroom had to be contained, so closing off the drain holes temporarily was the first thing I did. I quickly dried the floor of the shower stall with paper towels and covered the drain tightly with good old all-purpose duct tape. I then opened the bathroom window for ventilation. Closing the door of that bathroom, I rolled up a towel and pushed it against the outside bottom of the door to prevent sewer gas from escaping that room into another part of the house. Now that the odor was restricted, I headed for the computer and accessed Google. It took me only a few minutes to find several articles that explained how p-traps, vents (those pipes protruding from the top of the house), and a home’s plumbing drains are supposed to work, as well as what sometimes goes wrong to cause drain odors. Since the sewer gas that invaded my home was due to a dry trap, it's up to me to keep it from happening again. I now ensure there is a water barrier in the p-trap of that little-used shower with some easy weekly maintenance. Every week, I pour a cup of white vinegar down the drain, then turn on the water and let it run for about ten minutes. This method can be used for any drain, not just the one in a shower. If any plumbing fixture in your home gets infrequent use, try regular "preventive maintenance" by running water or flushing at least weekly to keep all the p-traps working properly. You won't be sorry for the effort to keep nasty sewer gas at bay. 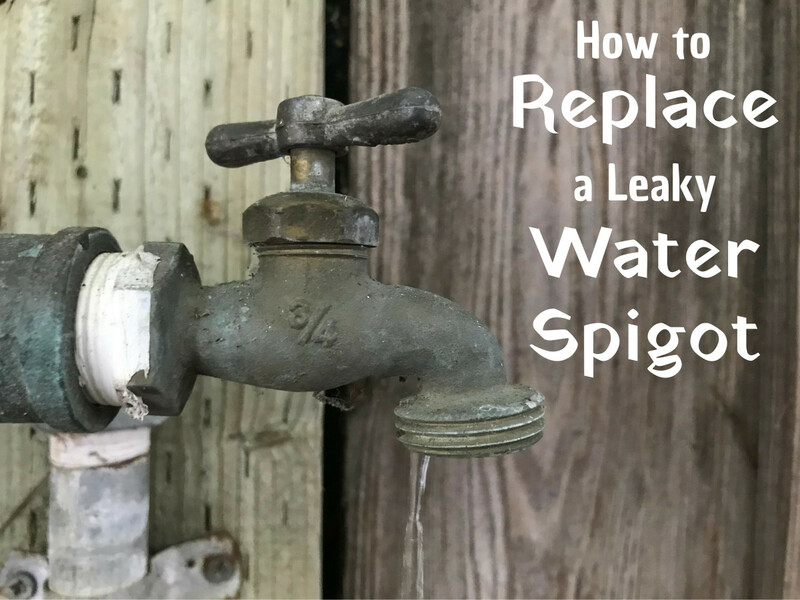 When I first bought this vintage ‘60s house more than a decade ago, major plumbing problems seemed to crop up every few months. For quite some time, I had the phone number of my plumber of choice available to call quickly when emergencies arose. Finally, the big issues were resolved (and please don’t remind me how much money that cost), so visits from the plumber have been rare in recent years. (Knock on wood!) Still, I realize that letting a not-so-large problem go unrepaired often means it morphs into something much worse. All the years of plumbing problems gave me a healthy respect for those brave souls who successfully ply the trade. If a plumber is needed, at least I know a couple of good ones! Disclaimer: I am not a plumber, building contractor, or expert in either of these fields, only a homeowner who did some research and tried the methods suggested to correct the acute issue and continue to follow it up with preventive maintenance. I hope these suggestions help you get rid of the yucky odor (and potential safety problem) of sewer gas. If they don't, you should call a professional plumber for help. Good luck! Have you ever had to cope with sewer gas smell? Has sewer gas ever invaded your home, and, if so, how did you get rid of it? I always try DIY first. It got rid of the sewer gas smell and cost very little. I tried DIY methods, but they were unsuccessful, so I had to call a plumber. I'm DIY-challenged, so I called the plumber right away. I have a friend/brother-in-law/fourth-cousin-twice-removed who took care of it. The smell of sewer gas does not come from inside my house; it is coming from the roof ventilation. Do I have to treat the smell the same way? The roof vent probably has a blockage--debris the wind blew in, a bird's nest, etc. A handy DIY-er with a steady ladder may be able to unstop it. That should stop sewer gas from backing up into the house. However, there may be another problem with your roof vent that may require a plumber. 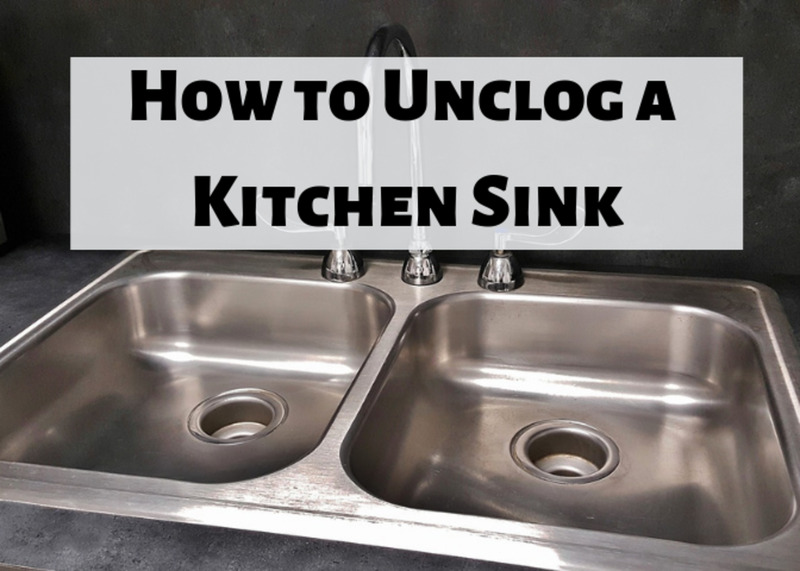 If the sewer flows into a septic tank, can I use vinegar or bleach to relieve sewer gas? Pouring vinegar in your toilets won't harm the septic tank, nor will it kill the beneficial bacteria as chemicals would. What is the estimated cost for a plumber to resolve sewer gas? Plumbing charges vary according to where you live, but most plumbers have a base charge for going to your home to make a diagnosis, with additional charges for labor and parts. Total cost is going to depend on how difficult and time-consuming the problem is to solve (which, in turn, depends on the reason.) The best way to get a ballpark estimate in your area is to call at least three local plumbing companies, describe the issue, and ask about their prices. If a dry P-trap caused the odor, why did it only become an issue after running the shower after adding water to the trap? It seems like it should have been noticeable before use, rather than after. Was your shower not in use for some time, as in a guest bathroom only used occasionally? It may require several of the DIY treatments I mention in my article to keep the trap properly wet. If the smell continues after using the tips for a dry trap (including 4 ounces of mineral oil to hold the moisture in the trap), it may be caused by something else that should be diagnosed by a plumber. My toilets have overflowed more than once, and now my house smells like poop. What can I do? This is not a DIY issue except for floor cleanup and disinfecting. You need a plumber to determine what is causing repeated overflows and repair it. There may be a blockage in your system. I have just moved into a new apartment, and the smells from my bathroom drain are unbearable and have even caused health issues such as coughing, wheezing, and breathing difficulties. 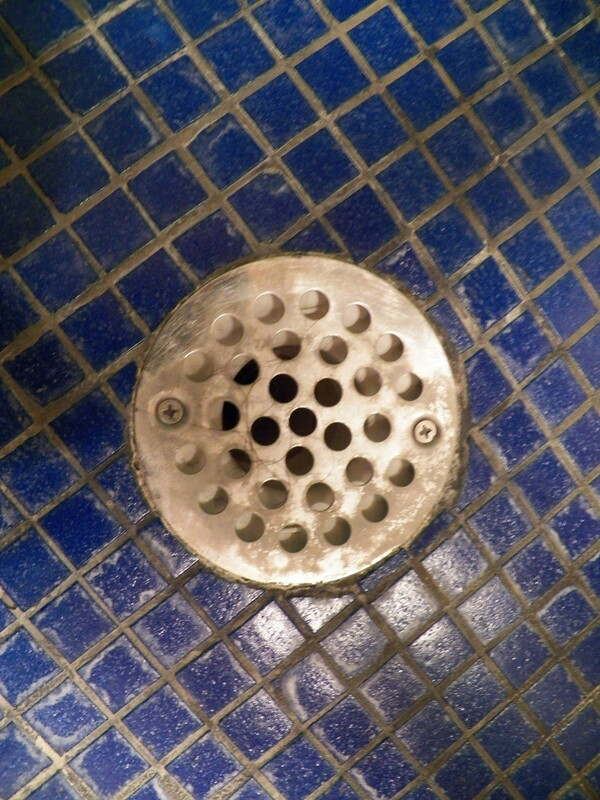 Will this cleaning method also work for my shower drain? It should work, and it won't hurt to try it. If the sewer smell does not abate, it's time to call in a pro because sewer gas can be harmful. If I don't have white vinegar, can I use apple cider vinegar to relieve sewer gas? Yes. Both white and apple cider vinegar have essentially the same acidity. The only difference is that apple cider vinegar has a more pleasant smell. I tried the DIY tactic to eliminate the sewer smell, and it came back. Should I repeat this method? 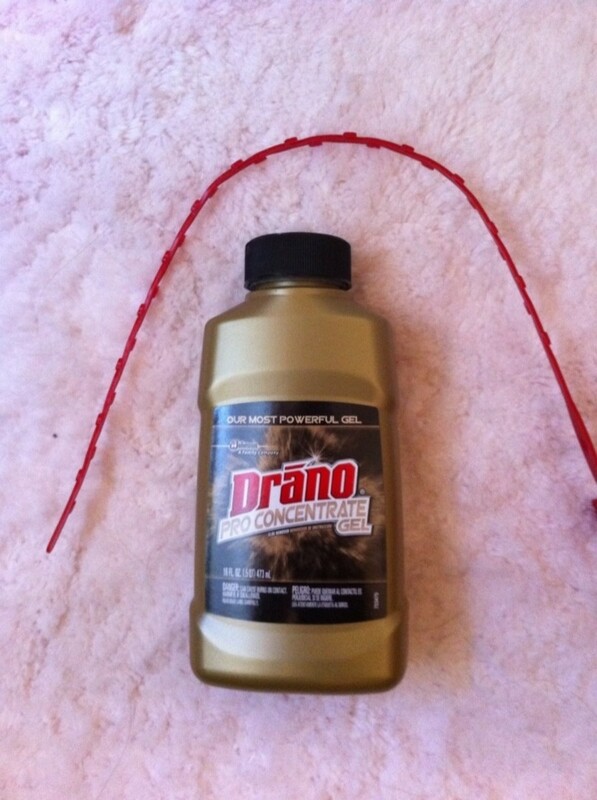 It make take two or three times for the trap to stay wet and eradicate the sewer gas smell. Don't forget to add the four ounces of mineral oil, which will help keep the trap wet. I own a condo, the management did nothing would not send someone out so they could smell it when it was extremely potent. I contacted the health dept which didn't do much either, but said the smell is probably from the roof vent and recommended to condo management look into it. When I wrote management about more smells and what are you going to do about it, he said "can't do anything" because investigator found nothing. Meanwhile it's happened several times, I've never smelled this odor before until last month. It's coming from the back of the house where dryer vents are, maybe it's someone's dryer vent turned toward my window? It always happens when the people are home downstairs. It's hard to describe but it's a powerful sweet overwhelming smell, I consider it a chemical smell, that I taste in my mouth for hours and leaves it dry and my lips are tingling/numb. So I have to close my windows in this sweltering heat, a/c doesn't work. I have no idea what I'm inhaling, have no recourse since the Health Dept. can't do anything but make recommendations. I don't know what to do, I'm stumped and stressed, have a disabled living with me. It's not like having a landlord, if you withhold condo fees they can put a lien on home or make your life difficult, which I'm sure will happen to me by bringing it up many times and copying upper management including the president. Condo Board together with management are horrible and don't do anything except take care of their favorites, then sit on their cushy butts. Can't believe I'm helpless at this point. Will welcome suggestions, although I'd rather not call the police as management suggested I do in my first request. I did go on the roof. Nothing clogged. The vent has a wire cap over it, I guess to keep bugs and things out. There are no trees near the roof thank god. I replaced the vent check under the sink. And no more bad smell. A clogged vent is a big possibility, as it may be stopped up with leaves, pine straw, other storm debris, dead birds and rodents, etc. I am not, however, suggesting that you climb up on your roof with and attempt to determine if the vent is clogged and clean it out yourself. It seems simple, but may not be a DIY job. It should only be done by someone who is experienced at working up high on a ladder and knows all the safety measures to follow. A broken back would be much worse than a clogged sewer drain! Hello, I moved in a home with all brand new pipes. I noticed 2 months later a rotten egg smell under my kitchen sink. I have done the bleach, vinegar w/ baking soda, 2 days later I open the door under the sink, the smell is back. All of my pipes drain perfect and nothing backs up. I do not have any other smells anywhere. Do you think my vent on the roof could be clogged? We just did a new drain and bathroom at the back half our basement. All fixtures are in and all traps have water in them. There is an intermittent methane smell from the stack area - usually when someone is showering or fixtures being used upstairs. It's not all the time and it's not strong. Quite mild. Any ideas? It seems like something isn't sealed properly but there are no leaks or anything. Could it be a clogged drain stack? Should I pour something into the drain from upstairs? I apologize for the late reply, Kjanke. I've been ill for the past couple of weeks and am just now checking comments, emails, etc. I hope you and your family suffered no ill effects from the sewer gas and were able to get the problem corrected by a plumber. We are smelling sewer gas in our guest bathroom, and the smell has spread into adjacent closets that share a wall with the bathroom. Its not super strong, but noticeable when you walk into the bathroom or adjacent closets. Its the weekend, and a holiday on Monday - we would prefer to wait until Tuesday to call a plumber but how dangerous are the sewer gases? Just wondering if we need to pay extra to have someone look at it sooner. Sorry for the slow reply--waves of holiday guests! If you checked the drain, tried the DIY tips and the sewer gas smell was (or is) still present, it's probably time to call the plumber. Escaping sewer gas can be dangerous if not remedied. Good luck! We are having the same issue from the laundry area. We have a sump pump in the basement and a floor drain. Outside the laundry room is the HVAC unit and the pool filter. I do not know where to check or what to do first. The home is 2 story. Hokie - It's terrible you're having this problem after just moving into your newly built home. If you’ve checked the usual sources of sewer gas smell (and, as the general contractor of the new build, you should be familiar with the systems), it may be time to call in professional help to track down the odor’s origin. After all, sewer gas can be dangerous and cause illness or even an explosion. A licensed home inspector can use a gas detection instrument, while a plumber can carry out a pressure test of the drain vent system or even send a remote camera through the drains to determine if there is blockage. If they can’t detect the problem, there may be some flaw with the septic tank/system, and you’ll need a septic repair contractor. Any one (or all three) of these pros and their methods are likely to be expensive, but you want your family to be safe and enjoy your new home, so if you still haven’t found the problem, bite the bullet and pick up the phone. Good luck! Sorry for the long post but I am out of ideas and really need some guidance. We recently moved in to our newly built home. I am a project manager for a national builder so was the GC for our own home. Thus, I managed the build process from the ground up. We are on a septic system. The day the movers came/we performed the final clean we smelled a very strong gas smell. We initially thought it was a propane leak but have since determined that it is a sewer gas smell. During construction we were in the house on a daily basis and the house was mostly closed up in the last couple of weeks while the painters were working. We never noticed the smell during any point of construction. We went from no smell to very strong concerning smell literally overnight. I have checked all of the more obvious possibilities. All of the traps have water in them. Studor vent under the wetbar sink is working. (We even switched it out just in case) we have 2 sewer ejector crocks (one for wetbar, one for basement bath) smell is not noticeably stronger near either one. Lids/foam seal are installed completely. All pipes seem to be sealed tightly including check valves. I have run my nose along every inch of sewer pipe down there and cannot trace the smell to any particular area. Please help!?!? Any suggestions are welcome. What could I possibly be missing??? We noticed a sewer smell coming from what we suspect is the AC condensation floor drain in our basement storage room. What can we do to fix this? JPlunk - What a bummer it is to encounter such a problem in your brand new home! I wish that I could offer a "miracle" suggestion, but I'm not a plumbing expert. Since the builder's moved both the tub and toilet and has even gone so far as to break up the floor looking for a plumbing error, but hasn't found it, you may need to submit a claim under your new home warranty. Many home warranties are backed by the builder, while others are purchased from an independent company and are part of your new home package. Usually, defects in the plumbing during construction are covered for at least two years. If I were you, I wouldn't want the builder to keep going with his "trial-and-error" method, which has not been effective. Your new home is probably your greatest investment, and you deserve to have everything properly operable and safe--now. With a reputable builder, this should not present a problem. If it does, especially since you've only been in this newly built home for three months, you may need an attorney's assistance as much as you need that of an expert plumbing contractor. Good luck! I hope your builder ensures this issue is diagnosed and corrected right away. KaraOkay - Great news on two levels--first, because you weren't overcome by toxic gas when you started to mix the bowl cleaner with bleach, and then that your "stinky" problem was resolved. It always makes me feel good when I read that these tips helped someone. Thanks for sharing! I have had this smell for months and at first I thought there was a small leak in the pipes exiting the house to the sewer system. I figured it was the after effects of someone going #2. It persisted when something (toilet, shower, laundry machine) was used and I thought there was some stinky gunk build-up in a pipe. Initially I tried the vinegar and baking soda in the laundry deep sink, like I do every blue moon for the garbage disposal. It helped, but wasn't a cure. Then I came across your words. I did the thorough vinegar-baking soda-water-bleach-water-mineral oil drops with hours of wait time in between, following your steps exactly, in the deep sink. I went to the guest bath and ran water in sink and shower and flushed toilet (and now do this at least weekly). One time I put 2 drops of mineral oil after a water run because I wouldn't be around for a week. I poured some water in the drain near the furnace because there hadn't been any condensation run off in months. Added a few drops of mineral oil there also. Finally today, I had a 'duh' moment. The powder room next to the laundry room had a busted line at the toilet last year (the line from the water to the tank) and it pseudo flooded the bathroom. I had the water off in that room since then. .....the duh moment was when I realized that usually toilets don't emit that sewer gas...when they are operable! Duh. After cleaning out some construction debris, I poured a half gallon of water in the toilet bowl. Then a small glug of bleach (seriously, just tipped the bottle quick). Then another half gallon of water. I started to hear some water moving and the bowl water went down a little, so I knew it had to flow some to the pipes. Yay. **okay, here's my stupid moment (among many). I wanted to clean the toilet while I had water in it so that dirt from construction didn't stay/stain. I grabbed the bowl cleaner and brush and cleaned. Then realized my potential stupidity and read the bowl cleaner label. Do not mix with bleach...yada yada. So I run and grab an empty bottled water from the recycle bin, cut it just so, grab a bucket, cover my mouth and nose, and scoop out as much liquid as possible. Then pour in another gallon or more of water and open a window. Thank you (and all the commenters because I read them ALL). We moved into a new build three months ago. The house has two bathroom, one which has a separate tub and shower. Shortly after moving into the house, I noticed a terrible smell coming from the drain of my claw foot soaker tub. Then I noticed a brown liquid around the drain. I can dry up the liquid, and in 5 minutes it is back again. Also, randomly when draining the tub, the toilet gurgles and bubbles wildly. The builder has been back twice to check out the situation. He has removed the toilet both times and snaked it. The last time he came, he removed the tub and busted out the concrete to see if his plumber had installed the correct drain pipe. He also snaked that drain but found nothing. I have no odor or liquid in the shower drain in the same bathroom or in the second bath. The only problem is the tub drain. Any suggestions? Live in a ranch style home, thought I had a clogged bathroom drain as water was slow draining in the tub. After doing a load of laundry I found water had backed up into the shower in the other bathroom shower into the floor and out under the floor in the hall. That shower hasn't been used for probably a year now I have the string rotten egg smell. Its 1:00am so not able to call a plummer. I just tried the baking soda, vinegar and water. How long should it take for the smell to subside if the dry drain is the problem. I have sewer gas coming up from my kitchen sink. I have had several plumbers out, and none of them could pinpoint the cause. The last one said that I should get someone out to put a camera down into the pipes. That will cost at least a couple of hundred dollars, with no guarantee of a solution. Any suggestions? I am hoping you can share what you learned on this site - or regarding the issues you were have that you commented on in this article. I have a similar problem with a mysterious sewer smell coming from my toilet. I just replaced the Wax ring -twice - and the toilet flange. I replaced the ring the second time because of the smell. There are no leaks either - but the smell of sewer gas. Originally, the tank spontaneously cracked and leaked on the floor, so I replaced the toilet. You guys had similar mysteries - wondered if you resolved it? For someone who isn't a plumber, you sure do have the knowledge of one! You're doing a great job helping out every homeowner who reads this by simply writing this post. I've been in the plumbing industry for 10+ years at Canterburyplumbingservices.com.au .. And i must say well done. Sometimes when a toilet wax seal is installed, the toilet isn't placed (re-seated) accurately, which allows some sewer gas to escape. If the plumbing was capped when the bathtub was removed, I don't know how it could be related to a new "off" smell unless something came loose inside the wall. I'm not a plumber, of course, so this is a guess on my part. You may need to have a plumber check it out if you aren't a handy DIY-er (or have a friend who is). Good luck getting rid of that smell! Just had a new toilet wax seal installed and the smell started. Should I just replace the new seal? About a year ago, I had a bathtub removed and covered, could that be related? Hi, StinkySinky - I'm so glad some of these tips were helpful to you. Sometimes just wetting the p-trap with water will be enough if that's the only problem. Good luck! Hi! This page has really helped me so far. I just moved into a new apartment and after a couple weeks there was suddenly a strong smell in my bathroom of sewer gas. i had been away and not used the shower/tub for a week or so. The smell was coming out of the tub drain, tub faucet and overflow drain. i follewed your steps minus the bleach and mineral oil. The smell is about 80% better. But there was still a faint smell of sewer gas that dissapeared when I plugged the drain and put tape and plastic over the faucet and overflow drain. so i just repeated the protocol minus the bleach and minteral oil hopefully it works!!! Diane - Bleach is best saved for city water and sewer systems, but vinegar and baking soda produce foaming action that help clean and freshen the drain. However, to stop sewer gas from seeping into your home, it's important to (1) make sure the sewer vent isn't stopped up, and (2) pour water down the drain to wet the trap and leave enough water standing to seal it. The short answer to your question is: yes--you can dispense with bleach and use vinegar and soda. We have a water well so cannot use Bleach because it kills the good bacteria so I'm told. Would the vinegar and soda help without the bleach step? What if you live in an apartment building? I occasionally (but frequently enough to be gross) notice a sewer smell in the bathroom. I can't pinpoint if it's the shower drain or the drain on the bathroom floor. I've lived in the apartment for a month now. I don't notice any effects on myself such as headache, and it's not constant, but I'm worried it could be more serious. Any thoughts on this? Thank you in advance. If the smell is originating outside the house, the odor can be emanating from the septic vent on the roof of your house. If your home is situated against a hill or a line of trees, wind vortexes can be created that bring that odor close to the ground. There is a website, http://IndustrialOdorControl.com that has the Wolverine Brand Activated Carbon Vent Filter that will solve this problem. Remember though, you will need one for each vent on the roof. You just saved my life literally. Living in an RV full time and not knowing about this issue, had my drain tanks open full time to the sewer line. Been steadily getting sicker and sicker until being bedridden after two weeks of not leaving home. Last night my daughter walked in and smelled the smell I was immune to. I read another article and then this one and immediately ran water in all drains and closed my tanks. I hope the damage isn't done and this reverses. I'm dizzy, lethargic, can't think, have fever, hurt all over. I had pre-op labs done this week and they called me that my liver labs were over the top. I assume that's from it trying to filter out the toxins? This is very dangerous, especially for people with compromised immune systems. Thank you so much for your information and saving my life. I too have dreadful sewer gas smell, but it comes from the toiler, not the sink or the shower. I have not seen any resolutions for the toilet smell. I don't think that they use the same pipe. Help me! Thanks to everyone who's left a comment lately. I'm glad these tips have been helpful to you and appreciate what everyone added to the discussion. Beenthere - It seems very likely that your roof vents are blocked by debris. If you're good at DIY, you can check them yourself; otherwise, it's time for the plumber. Good luck! Once lived on ground floor of 3 story newer building, complaints of sewer gas to management company ignored so I reported it to Health Dept. This whole process took several weeks. Turned out the pipes in the crawl space below the building were broken and weeks of sewage from all 3 floors were under my apartment! Now live in 1 story condo, slow drains for 3 years in both bathrooms, have been doing DIY for 3 years to keep them flowing, now notice sewer gas smell but it is just at edge of building.when i am outside. From reading up, i think air vents on roof are blocking up. Dwight – You didn’t say whether the vanity installation was DIY or whether a plumber did the work. If it was recently performed by a plumber, you should call the pro and report the smell. However, licensed and bonded plumbers are accustomed to meeting building codes, so a plumbing mistake is unlikely. Since the smell is only noticeable the first time you turn the water on in the morning, you may have a high concentration of dissolved sulfides (if your water supply is municipal) or hydrogen sulfide gas if you have a well. These gasses rise to the highest point in the supply side of the plumbing, such as the valves of faucets and linger as concentrate. The smell lasts briefly when released and isn’t likely to be at every faucet in the house. Factors affecting the amount of sulfides gathered at any place in your plumbing may include: the way the water line was run; pipe size; and style. Your local Chamber of Commerce can likely advise you of an agency that can test a sample of the water from that faucet, probably for free. The test will show if the water contains sulfides and, if so, if the amount is harmless. In the latter instance, you may want to put a filter on that faucet. On the other hand, if it’s above the recommended level, you will need professional help. Municipal water treatment plants test water for acceptable levels of all sorts of minerals and other materials. Notify your water department if your sulfide level is over the safe level. roob - Thanks for adding to the discussion. You're right about bad-smelling water. I once lived in a town that had tea-colored water with a sulfur odor. The municipal water department insisted it was safe and actually healthy (due to minerals, I think), but it did smell bad and stained white clothing in the laundry. being a plumber if there is a smell what we recommend is taking the drain cover or pop up off plug off then using a hacksaw blade or hanger to get hair that may be trapped & causing the smell. Next if still smells pour bleach down the drain with some baking soda. Remember people, your water also can have a sort of rotten smell to it as well! Very good and informative hub. Thanks for the info! Thank you, Thank you, Thank you!! I have spent literally thousands of dollars over the years trying to get rid of that smell. Just recently I had my entire sewer line replaced. I was told that was the problem. Cracks in the sewer line. Although the smell temporarily dissapeared, it recently came back with a vengeance. I wanted to cry. I called the gas company this week to see if I had a gas leak. No gas leak. Last year I had DWP come and flush the sewer line from the street. All out of options, I finally googled (which I could kick myself for not doing this first) and found this article. I did the DIY solution yesterday, and I'm happy to find this morning that the smell is gone. Sending a big virtual HUG to you!!!! My plumbing was causing a lot of smell in my kitchen and bathroom. Thank God I came across your post. Life savior! Adrian - Thanks for the reminder about PVC (plastic) pipes. After I published this Hub, someone mentioned in the comments section that boiling water poured down the drain might crack a pipe. I asked an engineer about this issue and was advised that PVC (plastic) pipes should not be hurt by a little very hot or just-about-to-boil water. However, PVC pipes don't need regular dousing with water over 175 degrees Fahrenheit (and water boils at 212 degrees Fahrenheit), or the joints might melt. (He didn’t mention rubber fittings, but I know heat can damage rubber.) 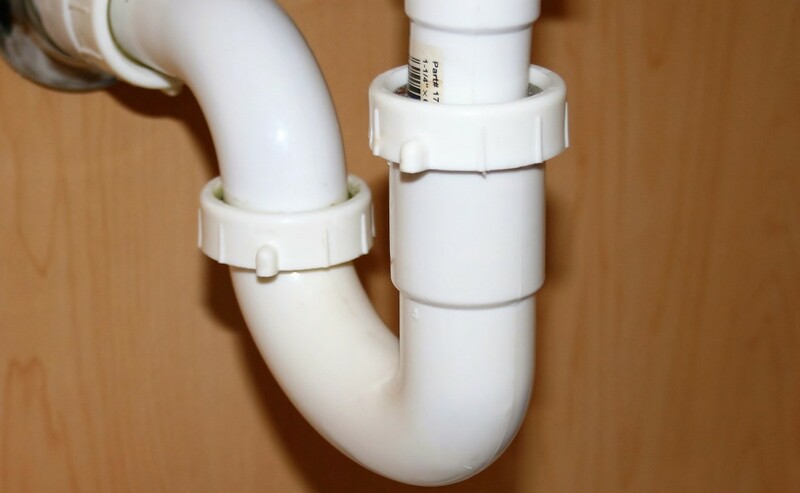 Anyone who isn’t certain whether or not a plumbing system includes any PVC pipes, PVC joints, or rubber fittings should not let the water boil. If it's just very hot water (in moderation), it should still do the trick. After all, some people take very hot showers. argdraw - Keeping the trap wet is, as you pointed out, a must to prevent sewer gas. Guest baths are often forgotten for periods of time if no one uses them but occasional visitors. I've developed the habit of running water in my guest bath weekly to keep the traps wet. If you need a reminder to do this, put a note or colored sticker on your calendar to jog your memory until it becomes natural to do it regularly. We certainly don't want sewer gas smell to welcome our house guests, do we? 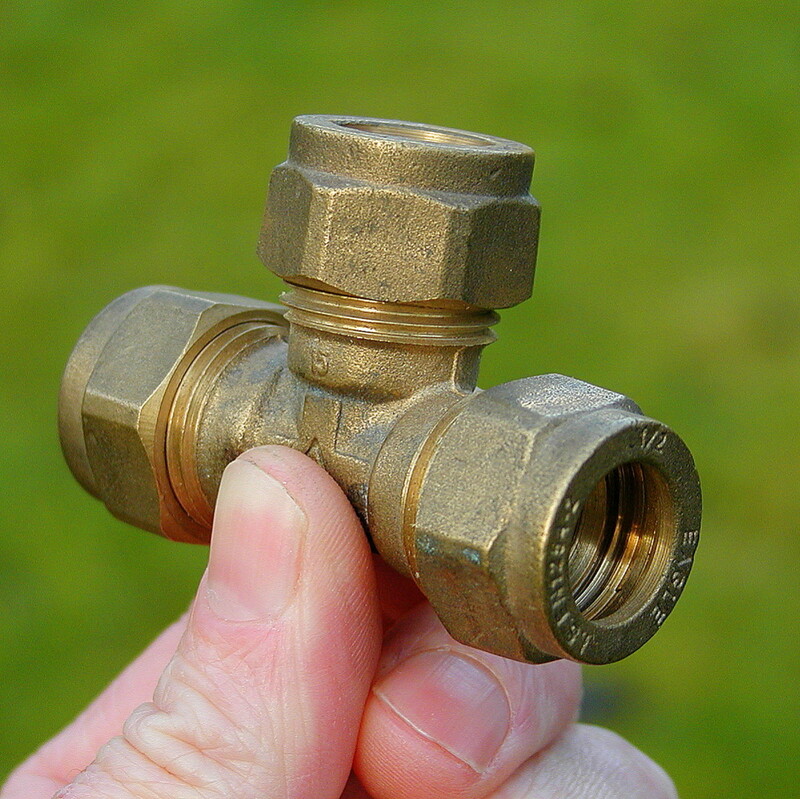 Your method, is a good way to clean the pipes, even clear a minor blockage, but the gas smell, is sewer air coming out of the pipe, because the water has dried out of the trap, running some water, into the trap will refill it, stopping the smell, little used pipework is unlikely to need cleaning just a cup of water. Sam - Sorry I missed your comment, and I hope you got the problem corrected. The amount of vinegar and soda doesn't have to be measured; just dump some in from a home-size bottle and box. Alekdo - I don't suggest that anyone try DIY plumbing repairs, only remedies using household products that may work but won't harm the plumbing even if they don't. And...if they don't, it's time to call the plumber. The hub is really helpful, but I think that if a person lacks experience and knowledge in DIY repairs, it is still better to call the plumber! Don't you think so? Nicely done -- This is a great hub about a great topic -- I love helpful ideas and suggestions like this one. Thanks and well done! Hi Jaye, I have a commercial building. there's 2 bathrooms, men and women but the men bathroom is constantly having the sewerage gas smell. I think its coming from the urinal. I called in the plumber and the guy charged me $50 dollars for advice, which is to pour a bottle of bleach down the urinal. It worked temporary but 2 days later the smell came back again. If i use your method, how much vinegar and baking soda along with bleach should i pour? Hi i have lived in my house for 2 years and have never had this problem before. Could the temp outside being 110 have anything to do with the sewer smell? Thanks for sharing this great guide. I had a recent problem with this, but fortunately my landlord called someone in. At least for the future I'm now well informed. Cheers. Cajun - Thanks for the credit and for using a link that takes the reader (and traffic) back to my HubPages article. I have shared your article Jaye - but I have given you full credit. Thanks, Cajun - And I'm confident you aren't going to do like numerous other plumbing professionals and "borrow" my article for your business blog, are you? ; ) Best wishes with your Baton Rouge business. I'm from the Deep South myself. I have the utmost respect for plumbers and plumbing contractors, and have spent a small fortune using their services since I bought an older house years ago. However, I managed to avoid it with this situation, save a bit, with good results. This was a great article - thanks for taking the time to post!! Hi, Avery - I'm not a plumber or professional contractor--just a homeowner who found a way to rid my bathroom of sewer gas coming through the shower drain. You may be able to get that information for free simply by phoning a plumbing and plumbing equipment business. Good luck! Thanks, Cynthia - "Useful" was the word I hoped would be most used for this hub. Jaye, thank you for this very useful information. we have two bath rooms that are seldom used and I need to go make sure they have water in the J-Traps. Thanks for your comment, Scott. I only know what worked for my situation. However, simply running water regularly in a shower used infrequently (such as a guest bathroom) will keep the trap from drying out. A shower trap holds about two cups of water. That's all you need to pour into a dry trap. No need for bleach, vinegar or baking soda. Mark - Your vent pipe may be clogged with debris or even a "critter's" nest if the bad smell is recent. If it's an ongoing problem, the vent pipe may be improperly installed. If it's a clog and you're the DIY type (and can safely gain access to the pipe), you may be able to flush out any clog. Otherwise, you will need to call a plumber for the job. You'll also need a plumber if the pipe is improperly installed. These are just my opinions, of course. I'm neither a plumber or an expert, but have personally experienced enough plumbing issues living in an older house to both spend a small fortune on plumbers and also learn some simple DIY methods for correcting non-critical problems, such as those described in this article. Our foul sewer smell is coming out of the bathroom area. We dont suspect its the drains, it smells like its coming from the toilet. I dont think its the wax seal because there is no water around the base of the toilet. Someone told me to check the stink pipe...Any advice? Thank you so much for your kind reply. The problem finally got bad enough that we were able to insist the landlord do something about it. A plumber is going to come with a camera and check everything. Our township inspector was here, and his guess is that we have a crack in one of our pipes or a clogged vent. Either way, he said the problem has to be addressed. Thanks, Jaye! There was a bad odor that was gradually getting worse in our master bathroom. The bathroom is frequently used but we thought we would try this DIY remedy before calling the plumber. For a couple dollars, why not? While the vinegar and baking soda was working in the two sinks and shower drains, I asked my wife if she thought the odor was stronger by the drains or toilet. After reading the comments here, I was hoping to determine if the toilet seal was the problem. She thought the smell was equal in all three places. Darn. It was then that we both glanced at the Jacuzzi. Oops, there was a fourth drain! We never use the tub. Your DIY remedy did the trick and the smell disappeared in less than an hour. And now we know how to maintain our drains. Thanks so much! Hi, Morgan. I'll preface this by stating that I am neither a plumber or an expert on plumbing and sewer system issues. However, I do have some suggestions that may be helpful. You don’t mention whether or not your home is connected to a city sewer system or if you have a septic tank, so I’ll address both situations. Let’s start with the city sewer system scenario. The vent stacks on the roof are more likely to be stopped up in the winter months if the covers are missing (or loose) by falling leaves and other blowing debris that become packed inside the pipes. Small animals may also make nests in the stacks under these circumstances. If you live in a very cold climate, ice can build up on and inside the vent stacks. Painting the stacks black attracts the sun to the dark color and may help prevent ice buildup in the future. Someone needs to climb up on the roof and inspect the vent stacks—both pipes and covers. Actually, this should be done after every winter season ends as well. As a tenant, however, that should not be your responsibility but the property owner’s. Now...septic tank systems: Simple preventive maintenance for septic tank systems may include flushing a package of baker’s yeast down the toilet twice a year. However, codes and regulations regarding septic tanks vary in different areas. If a septic tank needs repair work, it should be done by a professional. I’ll address your landlord problem last. If you have a lease for the property and pay rent, you have a right to expect that plumbing and other major problems with the property will be corrected very soon after you report them. The tenant-and-landlord laws vary by state, so call your state’s building and health inspectors to find out what can legally be done. Sewer gas isn’t just an annoyance, but is a health and safety issue. I came across your article while searching for a solution to my stinky problem. For two or three years now, our house takes on a horrible sewer smell when it gets cold outside. It never happens in the spring or summer; only in the fall and winter when it drops near or below freezing. It usually starts around 3 a.m., but sometimes it will start earlier (it's just after midnight, and it smells right now, which is what prompted me to Google "sewer smell in house"). Our landlord doesn't seem concerned, even though we've complained multiple times (*he* doesn't get woken up at 3 a.m. because the smell is so strong!). Do you have any idea what might cause such a smell? We don't have any unused plumbing in our house; we have one bathroom, with a sink and shower that get used daily; a kitchen that's always being used; and a washer and dryer that we use several times per week. So it doesn't seem like "dry trap" is the problem. I can't figure out what would cause this only when it is cold outside, though. Thank you for this instructive and my case timely article. Your DIY first line of approach to remediate the source of these nauseating miasmsas eminating from who-knows-where in my house makes perfect sense - both in terms of what the problem may be and how to go about fixing it myself. Until now, short of calling in an exorcist, I was at a complete loss as to where to start. Again, thank you. Hi, Crystal - This is one time I'm not going to suggest using the tips in this article, and that's because you have a lease that undoubtedly provides for maintenance of your town home when needed. That lease protects you as well as the owner of the complex, guaranteeing you a safe and habitable place to live. Since you describe the smell as 'musty', I'm concerned that it may be a buildup of mold in the walls due to a plumbing leak or a roof leak that led to standing water, rather than sewer gas. Certain types of mold can present very dangerous health issues, so you should not delay getting something done about it. You need to be very assertive in your interaction with the office administrator, communicating not only over the phone, but putting your request in writing and keeping a copy for your records. Mention the possibilities of both mold and sewer gas, and state that you're aware both present serious health hazards and require immediate attention. In addition, both mold and sewer gas could pose major problems for the property--mold by growth and spreading to other units, sewer gas by build-up that could lead to an explosion. There are regulations about mold removal—requiring a contractor who is certified to do that type of work. This is because mold spores cannot be allowed to escape into the atmosphere where they can spread and cause additional health hazard. Certified mold removal contractors also have equipment that can determine if and where there is water from a leak without tearing out the walls or ceiling. Because the responsibilities of landlords vary from state to state, you should consult local codes regarding rental properties in your state and city. This information should be available from your local building or housing authority, as well as local health and fire departments, either by phone or from their websites. Since I'm writing this on a regular workday, you should be able to get this information today so you will know your rights when communicating with the office administrator. When a landlord fails to make the necessary repairs or maintenance after receiving a request from a tenant (you), depending upon your state's laws, there may be several options open to you. You may have the right to (1) withhold all rent or put it aside in an escrow account until the repair is made adequately, at which time it will be released to the landlord; (2) pay less rent until the problem is resolved satisfactorily; (3) hire an outside party, such as a licensed plumber, to make the necessary repairs and deduct the cost from your rent payment; (4) if the problem violates state or local building or health codes, contact the local authorities regarding the issue. If their inspectors come to your town home and find the problem, the landlord may be ordered to fix it, plus face a fine for the delay in doing so; or (5) since the problem is pervasive (an ongoing odor that may be caused by a hazardous condition) and disturbs your right as tenant to live in a habitable structure, you may choose to move out of the town home and legally end the lease agreement because the landlord has breached responsibility of the contract. If you take this latter course of action (#5), you may want to consider what is called a constructive eviction lawsuit in which you must provide evidence of two things. You must prove that the uninhabitable conditions were a result of the landlord's lack of action to fix the problem and that you left the rental property in a reasonable time. Your evidence of the problem could consist of having two people (witnesses) come to your home during the hours when the odor is evident and give written, notarized statements of that fact. The property owner could face stiff monetary damages for breaking the lease, plus your discomfort from the bad condition leading to emotional and physical stress. Just knowing your rights and communicating them clearly (both orally and in writing with a copy saved for your records) to the office administrator should get you a prompt and satisfactory resolution to the problem you're experiencing. Believe me, that person does not want to jeopardize his or her job by ignoring a situation that may cost the employer a lot of money in damages. Always be assertive about your rights. That old saying about the squeaky wheel getting the grease is true. I hope you will take action today to get this potentially dangerous problem in your home resolved. Good luck, Crystal. Hi, I moved into this townhouse couple months ago. There is a terrible smell rising every night, sometimes 7pm and sometimes 11pm. It's a smell we never smelled before, so musty is what we can describe. I always have to keep the window open and the smell goes away about 9am. It gets worse on rainy days. The layout of the whole place is like: basement - where washer/dryer are, but I don't have them; first floor - kitchen and living room side by side, a 1/2 bathroom in the back; second floor, a full bathroom. Every night, it stinks in the living room. From what you and others describe, I wonder if it's because there is no ventilation and window in that bathroom. If I turn on AC, every room stinks with that smell. Should I go ahead and try your remedy or have the maintenance guy clean the p trap first? The office is pretty much ignoring me because I can't show the smell during the day and I can't get out of the lease. My problem turned out yo be a bad seal around the base of the toilet. Premila Angeline - I'm so glad the smell is gone and hope it doesn't return. When a house sits vacant for a while with no water running through the drains (including flushing of toilets), sewer gas is often the result. People in charge of rental property don't think about running water in all the drains at least weekly. I hope all is well now and you enjoy your new home. Thank you,thank you,thank you so much for this info. We just moved to a new rented house and the smell started after about a week. We have tried everything to mask the smell but nothing worked. Sometimes it seemed to go away, and then it would be back. I found out that it was coming from the back of the toilet bowl. I googled out of desperation and found your article. I used vinegar and baking soda and lots of hot water. I did not use bleach as I didn't have any in the house. I tried it this afternoon. The smell seems to have gone. I pray it does not return tomorrow morning.